Donald “Gibby” Pectol Gibbons, 77, of Santaquin, long-time resident of Pleasant Grove, passed away Friday, January 11, 2019 at his home. Don was born April 11, 1941 in American Fork, Utah to Era Benjamin and Effie Medora Pectol Gibbons. He married Mirriam Robb on August 14, 1964 in the Salt Lake City Temple of the Church of Jesus Christ of Latter-day Saints. Don grew up in south Salt Lake County and later graduated from Lehi High School in 1959. He served an LDS Mission to the Southern California Mission where he served in both California and Arizona. He graduated from Brigham Young University with a BA in Education with a Minor in History. He also received a Masters in Media Coordination from BYU. 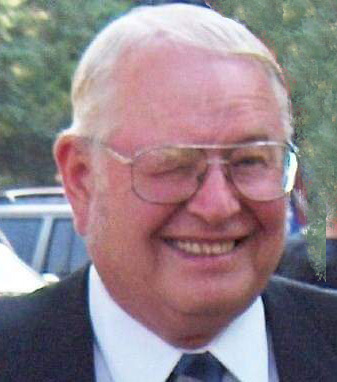 He taught in secondary education at Beaver High School, Juab High School and South Sevier High School. He spent his summers as a Carpenter’s Helper and worked more recently in Tech Support. He enjoyed the outdoors hunting, fishing, hiking, and camping with family and friends. He was a member of the Good Sam’s Happy Hobos where he often mentioned that “membership was the best thing he ever did.” He was an avid BYU sports fan and loved sports of all kinds. His favorite was football. He also enjoyed gardening because Mirriam made him do it. He is survived by his wife, Mirriam; seven children: Carl Robert (Rachel) Gibbons, Richard Benjamin (Amy-Jolie) Gibbons, Brian R (Agatha) Gibbons, Eric Donald Gibbons, Melinda (Andreas) Husby, Angela (Johnathan) Johnson, and William Heber Gibbons; 14 grandchildren and two great-grandchildren; two sisters: Ila Effie Pulley and Colleen Medora Gibbons. He was preceded in death by his parents and his brother, Era Doyle Gibbons. Funeral services will be held Saturday, January 19, 2019 at 11:00 am in the Santaquin Summit Ridge First Ward Chapel, 591 Summit Ridge Parkway, Santaquin. Family and friends may attend a viewing Friday evening from 6-8 pm at Olpin Family Mortuary, 494 South 300 East, Pleasant Grove and on Saturday at the church from 9:30-10:45 am prior to services. Interment will be in the Santaquin City Cemetery with military honors conducted by the American Legion. Condolences may be sent to the family at www.olpinmortuary.com.